On November 4, Hacksaw Ridge made its debut in theaters. The movie follows the story of a man named Desmond T. Doss (played by Andrew Garfield) who lives in Lynchburg, Virginia. Doss, after helping an injured man to the hospital, meets Dorothy Shutte, whom he instantly falls in love with. 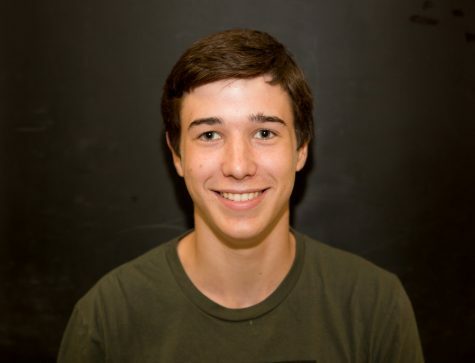 Doss, however, is conflicted because he wants to join the army and serve his country. There[fore, he convinces Dorothy to wait until after he finishes boot camp to get married. Then Doss heads off to serve his country as a combat medic. When he gets to basic training, he excels in all areas and shows that he is committed to serving his country. However, he refuses to use or even touch a firearm because he is a Seventh Day Adventist, and by using a firearm, it would violate his religious beliefs. After a lengthy trial and investigation, he wins the right to not carry a firearm onto the battle field. After he finishes basic training, his platoon is sent to ‘Hacksaw Ridge’ in Okinawa, Japan. The battle proves to be very bloody, and the platoon takes many casualties. Doss runs across the battlefield and saves as many people as he can, bringing them to safety. Even after the American troops retreat, Doss stays to help those left behind. As Japanese troops advance, Doss takes soldiers and lowers them down the cliff into the American base camp, all while dodging enemy fire. Doss ends up saving 75 men and receives the Congressional Medal of Honor, while also cementing himself as a hero in American history. Overall, Hacksaw Ridge is fantastic. The movie is a great blend of action, romance, and inspiration, with the perfect amount of religious undertones. The cinematography is stellar, and it wonderfully captures the horror that war brings, hitting very close to home for many moviegoers who can relate to the experiences. 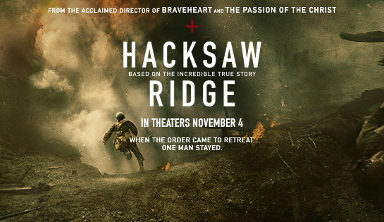 This movie is a must-watch, especially for those who love war movies.